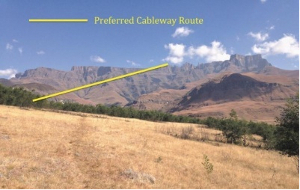 Two “fatal flaws” in the draft business plan for the proposed Drakensberg cableway have brought into question the commercial viability of the project. A review of the plan by environmental groups vehemently opposed to the development said the cableway could not attract the projected 300 000 visitors needed each year to make it viable. It also said that the “unrealistically high ticket price of R350” would make the R500 million, 7km cableway one of the most expensive in the world. The plan was completed last year by Graham Muller Associates for the KwaZulu-Natal Department of Economic Development and Tourism, which is spearheading the project. It followed MEC Michael Mabuyakhulu’s announcement that the project was being resurrected as a “game-changing” tourism development. Three environmental organisations, Wilderness Action Group, the African Conservation Trust and Vertical Endeavour, commissioned a review of the business plan as the first stage of public consultations began. 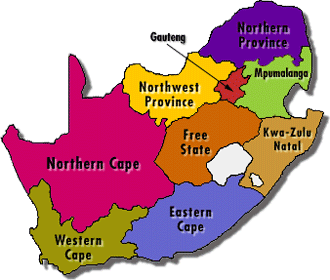 The AmaZizi community, who live closest to the proposed site in the northern Berg, are opposed to the idea and say they have not been properly consulted. The environmental organisations say that the plan is not appropriate for the pristine wilderness area. They have been working for years with the community to finish a plan to create a community-run nature reserve for the AmaZizi’s ancestral area. Sheila Berry, the deputy chairwoman of the Wilderness Action Group, said: “There is rising concern over the manner in which certain aspects of this project have been conducted, as well as the accuracy of some of the information presented. “The projected 300 000 visitors annually to make it commercially viable is unrealistic, given the Drakensberg’s remote location… The proposed ticket prices of R350 for adults and R200 for children would make the cableway among the most expensive… the Table Mountain cableway charges R205 for adults and R105 for children, and significantly attracts 855 000 annual visitors,” she said. Click here to sign the online petition to stop the proposed Busingatha cableway in the Drakensberg! I know they want to bring in more tourists which will mean income to the country and jobs and all that… but I can’t help but hope that this never happens. This will ruin the mountains and the wilderness experience in so many ways! It might just be my selfish outlook but yea…not keen on this. The only people who could afford this are wealthy South Africans (small market) and who happen to be in area (even smaller market). If they think European tourist would go they should think again. There are thousands of spectacular cable ways and ski lifts here in Europe taking millions of people every year in mountain ranges that are equally if not more impressive. It’s nothing special and If you can’t ski or mountain bike back down there’s really no reason to go. Comparing this to Table Mountain is stupid, Table Mountain is convenient, iconic and Cape Town is a hot travel destination with existing tourists minutes away. Just another way to loot the taxpayers.